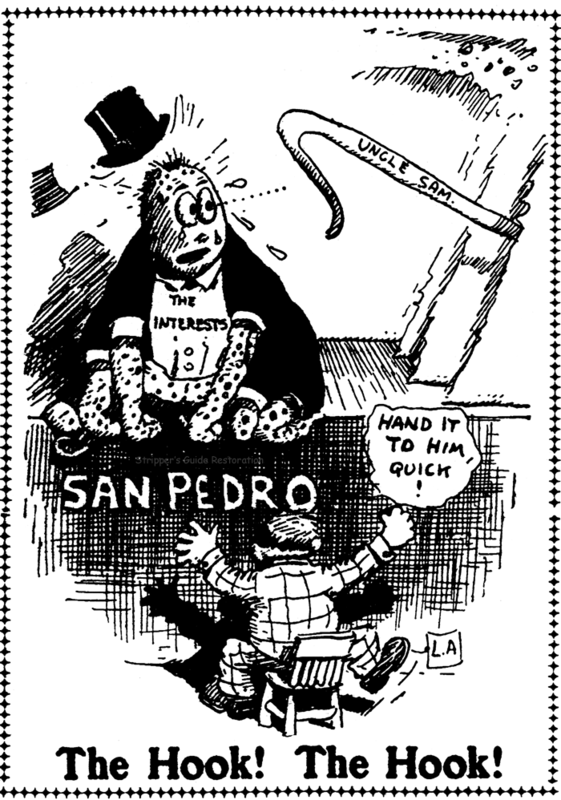 Sunday, May 24 1908 -- The Southern Pacific Railroad's attempt (eventually to prove mostly successful) to have the inner harbor at San Pedro dredged in such a way as to insure that their interests are paramount has caused some ruckus. Senator Frank Flint of California has taken up the fight against the railroad monopoly, and is appealing to the federal government to provide proper oversight regarding dredging plans. Herriman's Southern Pacific octopus, not seen in his cartoons for a very long time, finally returns. Allan - I've been following your Herriman posts for several years and you should be highly commended for your efforts in bringing this part of Herriman's career to light. Thank you, thank you, thank you! Your work is greatly appreciated! Thank you, Sam, for taking the time to write. Considering the riches I (don't) reap from this blog, an occasional pat on the back is most welcome and gratefully accepted!